"The stockings were hung by the chimney with care..." is a well-known line from Clement Moore's famous Christmas poem, "Twas the Night Before Christmas." But why do we hang stockings on Christmas Eve? The history of this Christmas tradition can be traced back to very early times, and is also associated with legends about Saint Nicholas. Exactly why do we hang our Christmas stockings by the fire with care? There aren't any written records that explain the origins of this Christmas tradition, but there are some legends that offer clues. One legends comes from a story about Saint Nicholas, the historic figure who helped inspire today's Santa Claus. According to this legend , a widower had become unable to afford the dowry to marry off his three daughters. Saint Nicholas heard of the family's plight and went to their home on Christmas. He found the girls' stockings hanging by the fireplace, so he secretly filled them with gold coins. In some variations of the tale, St. Nick doesn't leave the gold in the stockings, but throws it down the chimney. Some people believe this story started the Christmas stocking tradition by encouraging children to hang their stockings by the fireplace, hoping that they might also receive presents from Saint Nicholas. But the tradition may have started even earlier Author Phyllis Siefker in her book, "Santa Claus, Last of the Wild Men," traces the tradition back to the the winter Yule festival . The author says that during the Yule festival, children would place their boots, filled with carrots, straw or sugar near the chimney for the Norse God Odin's flying horse. Odin would then reward the kids by leaving gifts or candy. This practice, the author says, later became associated with St. Nick. Many cultures now have traditions that involve leaving out containers to be filled during Christmas, but not everyone puts out stockings. In countries such as Italy and France, children leave shoes instead of stockings. And not everyone gets their gifts on Christmas Eve. In Italy, the gifts are left on January 6, the last day of Christmas. 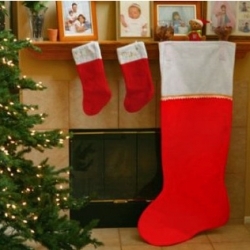 We may never know for sure which ancient legend or legends led to today's practice of hanging stockings out for Santa Claus, it's clear that it's a tradition that's going to hang around for quite a bit longer. 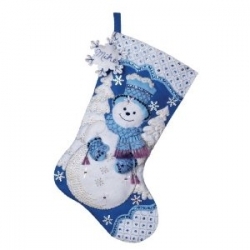 Buy these personalized stockings online and customize them with your own name. If you're fascinated by the origins of things, these books will unravel the history of Christmas and its many traditions. You won't need a chimney to hang your stockings with care with these handy metal stocking holders. 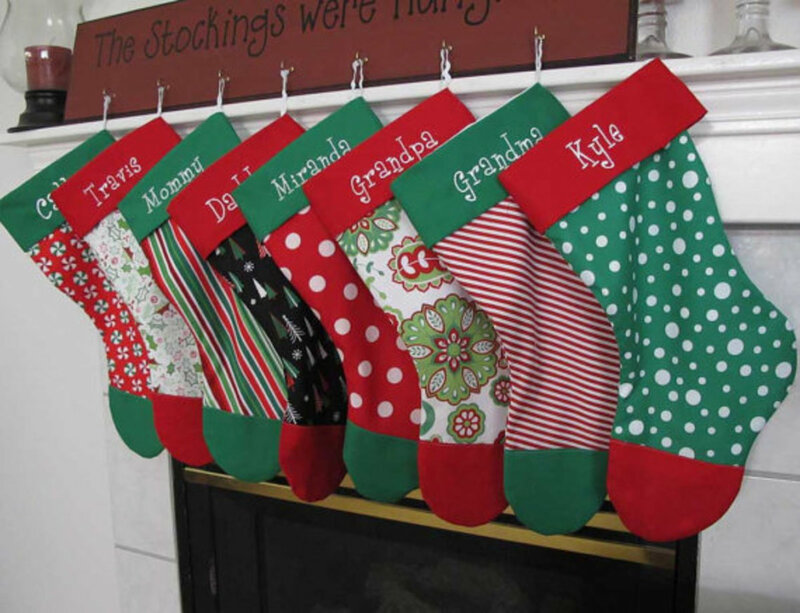 And each one can be personalized with a family photo, so Santa will never forget who's stocking he's filling. In this book, the author traces the roots of Santa and traditions such as Christmas stockings back to pre-Christian times. From Amazon: Much of the modern-day vision of Santa Claus is owed to the Clement Moore poem "The Night Before Christmas." His description of Saint Nicholas personified the "jolly old elf" known to millions of children throughout the world. However, far from being the offshoot of Saint Nicholas of Turkey, Santa Claus is the last of a longline of what scholars call Wild Men who were worshipped in ancient European fertility rites and came to America through Pennsylvania's Germans. This pagan creature is described from prehistoric times through his various forms "Robin Hood, The Fool, Harlequin, Satan and Robin Goodfellow"into today's carnival and Christmas scenes. In this thoroughly researched work, the origins of Santa Claus are found to stretch back over 50,000 years, jolting the foundation of Christian myths about the jolly old elf. Did You Know Why We Hang Christmas Stockings? Thanks for letting us know about this Christmas tradition. 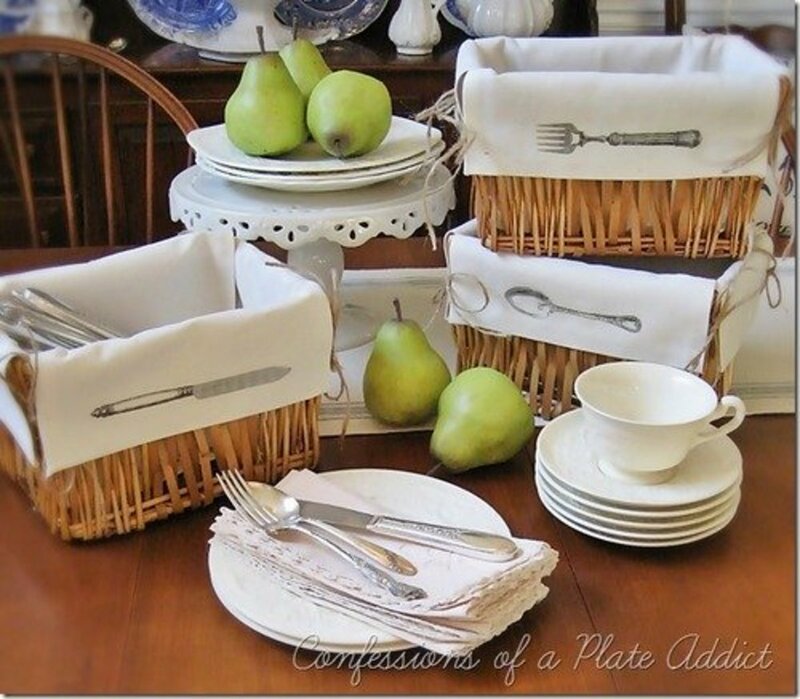 I have always put out stockings but really didn't know why other than the fact I love the small items I find inside. Interesting article. I'm pretty sure it's just because of the boots. There is historical evidence of him putting gold in the boots. I'm sure it just somehow evolved into the stockings over the years.